The number of US troops will increase to about a thousand soldiers per country in 2016. Lithuania, Latvia and Estonia intend to triple spending on armaments and military equipment up to $ 670 m by 2018 over 2014 after the Russian annexation of Crimea. It is estimated that by 2020 the total budget of the three countries will reach $ 2.1bn, more than double the budget at the time of their joining NATO in 2004, The increase will marking the biggest growth rate compared with any other region in the world, Reuters wrote on Thursday, 20 October. "We are seeing an escalation of political confrontation between Russia and the West in the last 2.5 years toward military perseverance, and we see no end to this in the near future," Alex Kokcharov from IHS Markit said as quoted by the agency. "This confrontation is likely to include elements of military intimidation, creating concerns among Russia's closest neighbours," he added. Thus, after the Russian annexation of Crimea in 2014, Latvia and Lithuania approved the increase in defence spending to the informal NATO target value of 2% of GDP by 2018. Estonia did the same. 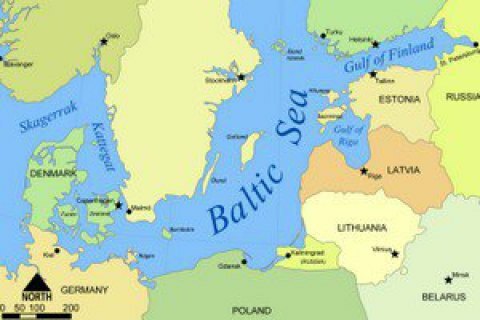 In each of the three Baltic states, deployed units of approximately 150 US soldiers, who have been sent there immediately after the annexation of the Crimea. The American contingent is supplemented by ad hoc rotation of troops from other NATO countries. The number of troops will increase to about a thousand troops on each country in the next year. Earlier, the President of Lithuania Dalia Grybauskaite called the Russian deployment of Russian missile systems Iskanderin the Kaliningrad region an aggressive show of force against the whole of Europe.